Are You Ready For Seattle’s Best Bed Bug Inspection? Are you tired of wondering whether or not you have a bed bug infestation? Are you fearful that you have health-related problems stemming from somewhere and you just can’t put your finger on it? Are you concerned with the atmosphere in your home and don’t know why? If any of these are true, then you might have a problem with bed bugs. So all you have to do is give us a call and have us thoroughly inspect your entire home. 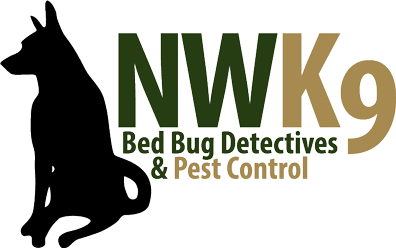 We are Northwest K9 Bed Bug Detectives and we have the means necessary to provide you with Seattle’s best bed bug inspection. We are so confident that we offer Seattle’s best bed bug inspection because we utilize a very unique inspection method, K9 inspection. Let’s face it, people aren’t perfect and even the most experienced bed bug inspectors can miss things. Bed bugs are so tiny, and they have a lot of practice with eluding humans. Our bed bug detecting dog, Magic, has incredible success rate of 97%. Dogs have powerful noses, and when trained correctly, their sense of smell is one of most foolproof ways to detect bed bugs in your home. Don’t leave the fate of your home up to chance, get the job done right the first time by utilizing Seattle’s best bed bug inspection. Not only can we provide you with an accurate inspection, but we are experts at eliminating bed bugs from your home. Give yourself peace of mind and call us today to schedule your appointment.